It’s hard to believe that there are only 9 weeks left until Christmas. Time for the dreaded gift shopping. Don’t panic! 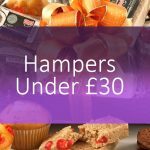 We’ve taken the hassle out of finding the perfect gift with our selection of Christmas Hampers. With seven layers of festive treats to discover, the Christmas Treats Tower is a big hit for families. 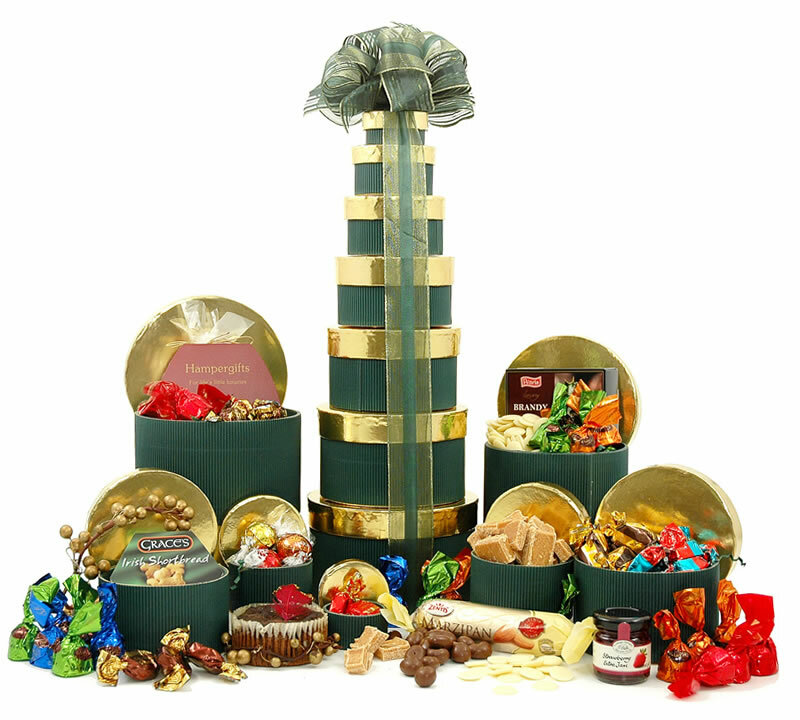 One of our most popular Christmas hampers, this impressive tower is filled to the brim with delicious items like Lemon Butter Cookies, Crumbly Fudge Cubes, a mouth watering Brandy Christmas Pudding and of course Chocolates! 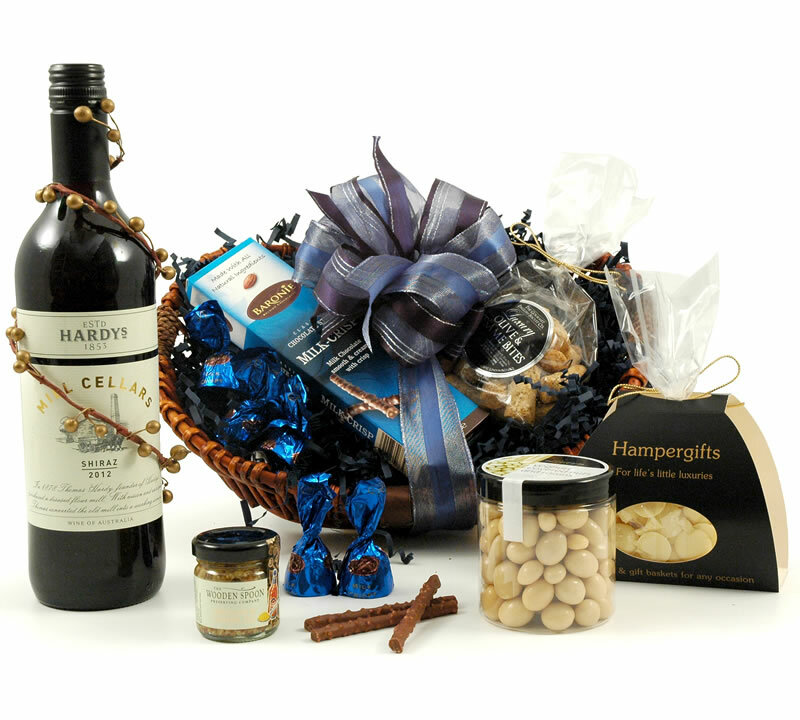 Our Christmas Collection hamper has something for everyone. 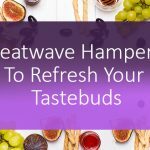 This sweet and savoury hamper is filled with a delicious selection of chocolates, tea, fudge, cheesmaker’s pickle and a beautiful bottle of Merlot. 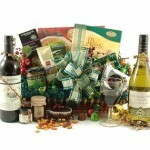 The delightful wicker basket with ruby red straps make this a fantastic corporate gift for Christmas. 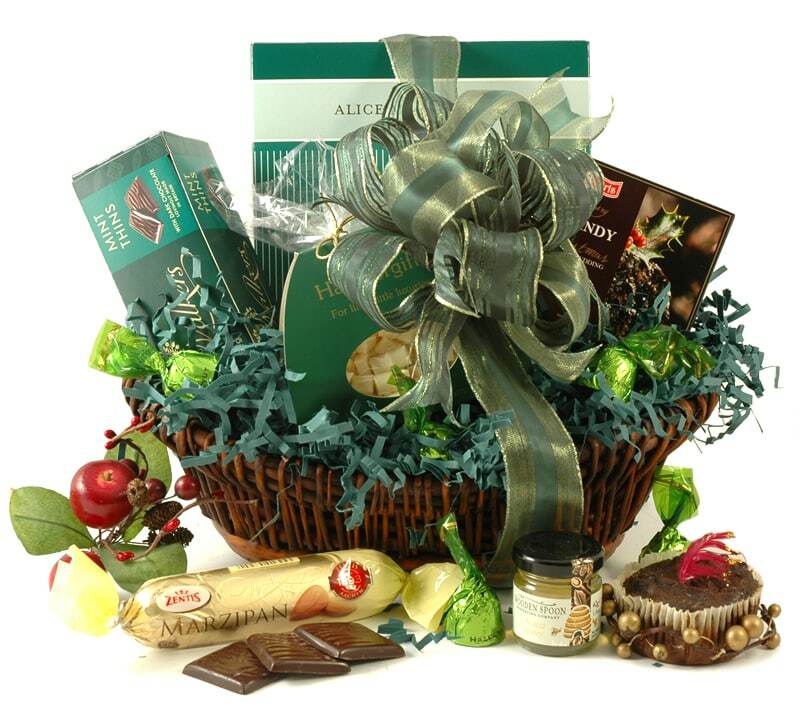 This beautiful basket of festive goodies has been one of our most popular Christmas hampers. 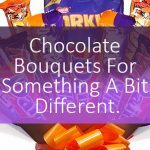 Perfect as a personal gift to somebody special the Christmas Surprise never fails to impress. 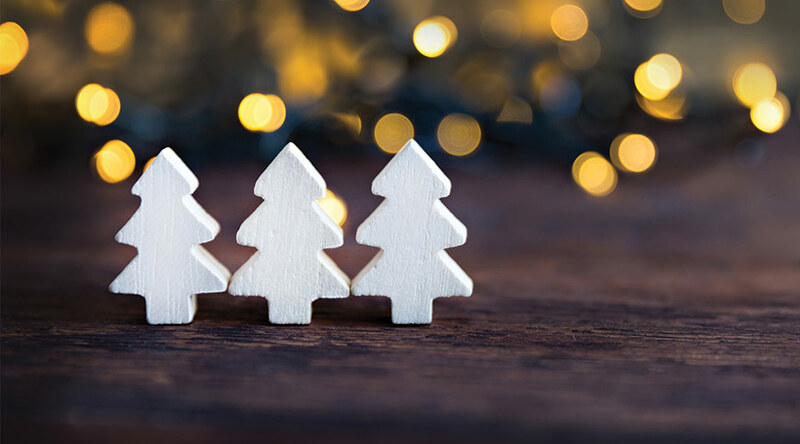 It’s packed with lots of wonderful treats like Brandy Christmas Pudding, delicious Mince Pies, After Dinner Mints, a mini pot of Acacia Honey and much more to discover! 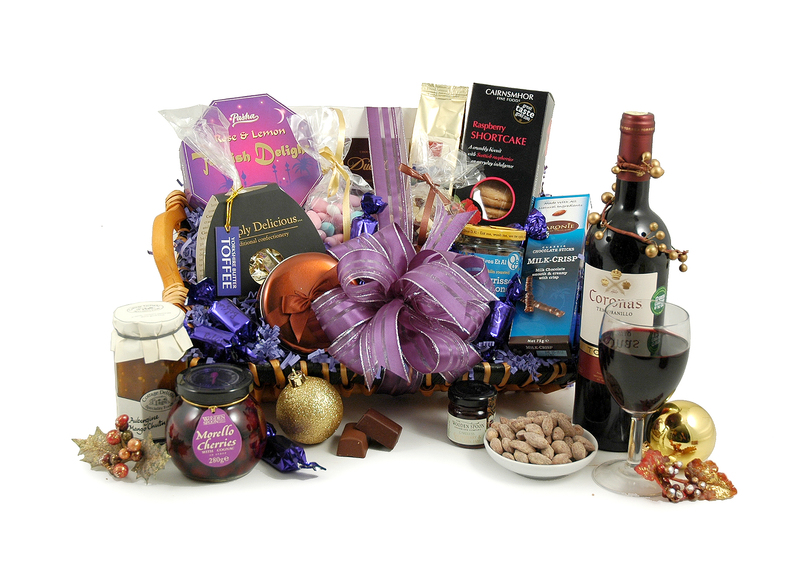 Always a hit, our Christmas Carol hamper makes the perfect gift for a friend, partner or family member. 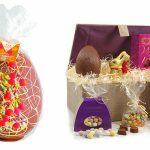 The beautiful basket houses a delightful selection of goodies that will make their Christmas very merry indeed! 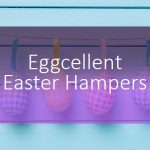 Treat them to tasty treats like yoghurt coated nuts, Belgian chocolates, and of course the stunning Shiraz. 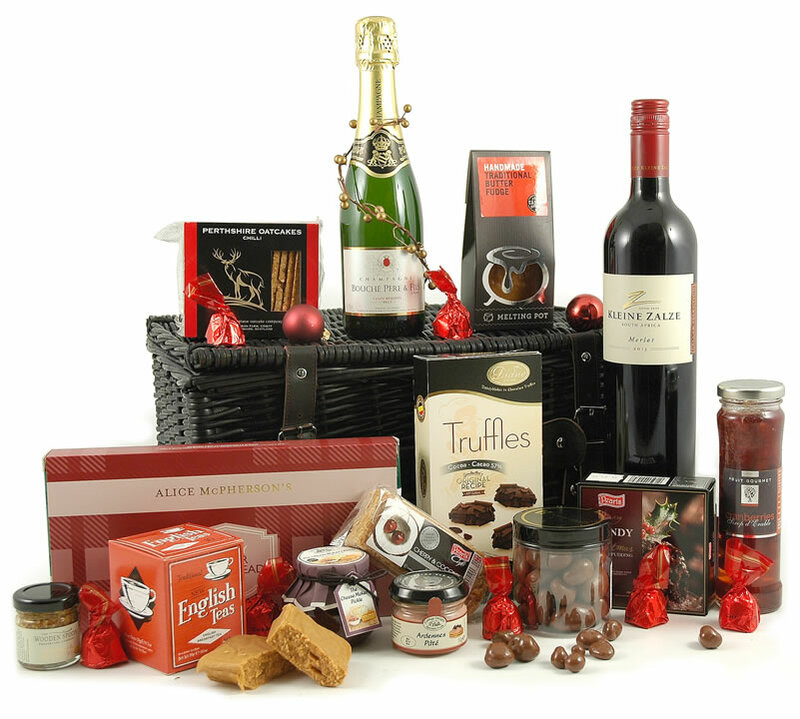 There are just a small sample of our huge range of Christmas hampers. To see more, you can view our full selection here. 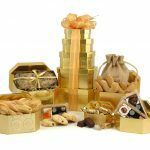 And don’t forget, you can now get 15% our Christmas Hampers when you order before the 5th of November. Use the code : XMAS17 at checkout.